On Sunday, November 23, at the noon Mass at Our Lady of Mt. Carmel Parish in Wyandotte, Rev. 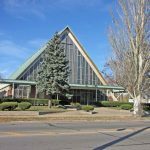 Walter J. Ptak remembered parishioners of the now-closed St. Helena Roman Catholic Church, the daughter church of Our Lady of Mt. Carmel, which was permanently closed on September 13, 2008, after 83 years. The final Mass was celebrated at St. Helena on September 13 at 4:30 p.m. by the Most Rev. John M. Quinn, Rev. 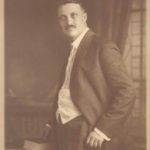 Walter J. Ptak (who was the Administrator of St. Helena), former pastors Rev. Paul Larry Siroskey and Rev. George Kowalski, and Orchard Lake’s Rev. Stanislaw Flis. 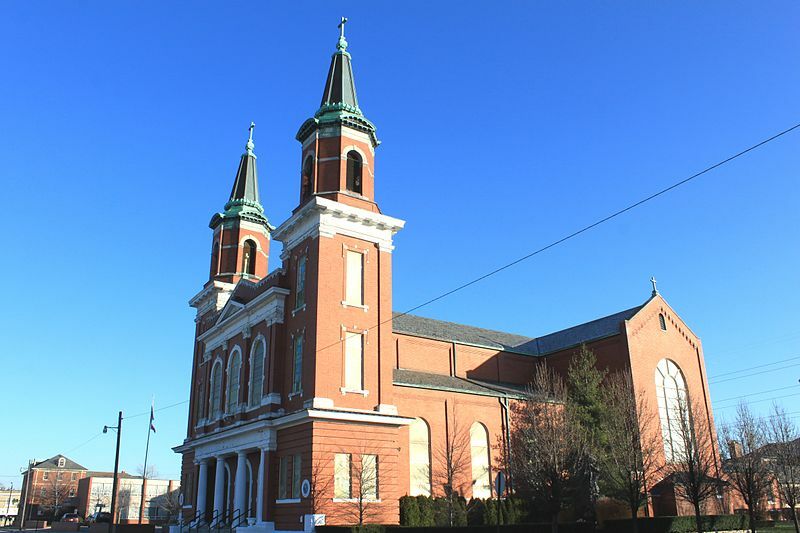 St. Helena was one of several Roman Catholic churches in Detroit’s Archdiocese to close during the past few years. 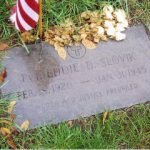 As part of the ceremony to honor St. Helena on November 23, a memorial was presented on behalf of the West Side Detroit Polish American Historical Society, whose headquarters is in historic St. Hedwig Catholic Church at 3245 Junction on Detroit’s west side. The framed memorial, prepared by the society’s president, Mr. Adam Lis, included photographs of the church’s exterior and St. Helena’s final Mass program, as well as commemorative text and a list of all of St. Helena’s pastors and their presiding years. It was presented and read by the society’s Vice President & Executive Director, Ms. Laurie A. Gomulka Palazzolo, and will hang permanently in Our Lady of Mt. Carmel’s vestibule. A blessing of the statue of St. Helena by Rev. Ptak was included as part of the ceremony. The statue, which formerly stood in St. Helena Church, now also permanently resides in Our Lady of Mt. Carmel Church. Several dozen former parishioners of St. Helena were present at the November 23 Mass. A similar ceremony took place on October 26 at Ss. Andrew & Benedict Catholic Church in Detroit to honor the memory of historic St. John Cantius Catholic Church in Delray and to celebrate 105 years of her life. The parishioners of Ss. Andrew & Benedict dedicated a Mass on October 26 to their mother church at 10:30 a.m. on the occasion of the first anniversary of St. John Cantius’ closing. Music selections under the direction of Ss. Andrew & Benedict music director Steve Frayer, former music director at St. John Cantius, were from the final Mass at St. John Cantius. A framed memorial in honor of St. John Cantius, prepared by the West Side Detroit Polish American Historical Society’s president, Mr. Adam Lis, was officially dedicated to Ss. Andrew & Benedict and will hang permanently in the church. The memorial contains photographs of St. John Cantius Church and commemorative text, as well as a bronze dedication plate. It was blessed by Rev. Edward F. Zaorski, Ss. Andrew & Benedict’s pastor and former pastor of St. John Cantius Church. Several former parishioners of St. John Cantius were present at the October 26 memorial Mass. Each person present also received a complimentary copy of the commemorative DVD of the final Mass celebrated at St. John Cantius as well as a souvenir from historic St. John Cantius Church. Among its other goals, the West Side Detroit Polish American Historical Society honors historic west side churches. On Sunday, August 31, the society presented a framed memorial to St. Andrew Catholic Church of Detroit and its pastor, Rev. Julian Chmura, at the church’s closing Mass. St. Andrew, at 7060 McGraw on Detroit’s west side, closed permanently after 88 years. The church building will continue to be used as a chapel. 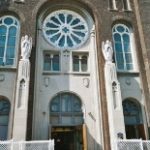 The society plans to commemorate historic St. Hedwig Catholic Church this December and historic St. Francis d’Assisi of Detroit’s west side in the spring. The society also plans to commemorate Our Lady of Mt. Carmel of Wyandotte in the spring. The West Side Detroit Polish American Historical Society was incorporated as a 501(c)(3) non-profit organization in February 2006. It exists for the observation, study, appreciation, and preservation of the history of west side Detroit Polonia’s neighborhoods and the Polish-American immigrants who settled and continued to build the community throughout the decades. This includes their descendants and their neighbors, surrounding institutions, businesses, and churches. The society also serves as a repository of historical archives, including artifacts, documents, oral histories, and other significant records relevant to its mission and purposes. For further information, please contact Ms. Laurie A. Gomulka Palazzolo at 248-477-8518.